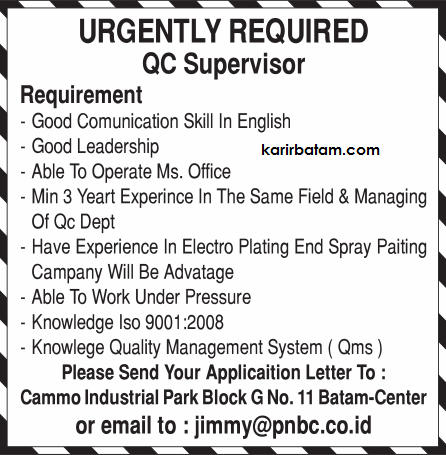 Minimum 3 years experience in the same field and managing of QC Dept. 0 Komentar untuk "Lowongan Kerja PT. PNBC Indonesia"